The unique slimline wine bottle in 100% recycled PET for the mail-order market, made by RPC M&H Plastics, has been named Best Recycled Plastic Product of the Year at the recent Plastic Industry Awards. 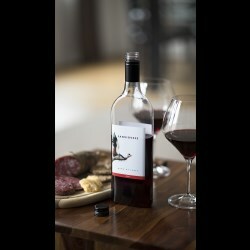 Created by Garçon Wines, the bottle design conforms to the traditional Bordeaux wine bottle shape, but its flat profile means it is able to fit securely and conveniently through a standard sized letterbox. 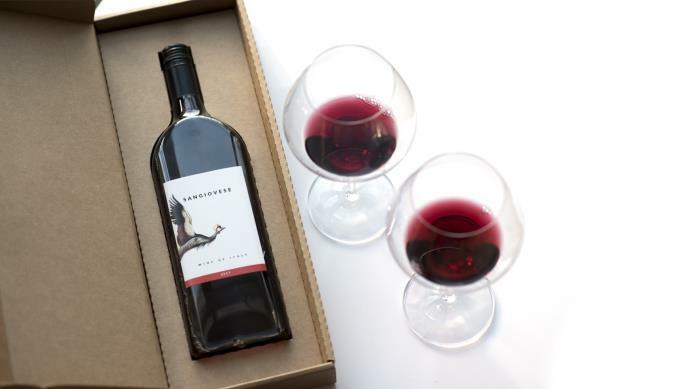 The bottle is 87% lighter and 40% spatially smaller than a normal wine bottle which, together with the fact that its letterbox size ensures no missed deliveries, hugely reduces carbon emissions from the wine supply chain. The bottle is also fully recyclable, enabling further bottles to be produced and providing a closed loop solution in line with circular economy principles. Equally important, while being significantly lighter than glass alternatives, the bottle is strong and robust enough to withstand the rigours of the postal system. “We are delighted to receive this award which underlines the significant contribution that plastics can make to creating a more sustainable world,” comments Simon Chidgey, RPC M&H Division’s Sales and Marketing Director. RPC M&H Plastics Beccles has recently received four stars in the Five Star Occupational Health and Safety Audit, awarded by the British Safety Council. The audit is among the most comprehensive, contemporary and quantified processes available, and allows companies to test their health and safety performance against the latest legislation, recognised standards and best practice techniques. The patented X-Press closure exclusive to RPC M&H Plastics is designed with one-handed use in mind while applying a hinge-less design to ensure lifetime use. The closure operates a unique mechanism which incorporates a break-seal click on the first application, ensuring integrity until the first point of use. Archiman, a men’s skincare brand from France, has recently worked with RPC M&H Plastics to produce their packaging in the form of flexible tubes. RPC M&H Plastics recently completed work on two 225ml flexible tubes for Mibelle Group Brands new nspa Sacred Spa Range. The Flexible tubes feature an all over tranquil silk-screen print designed to make the products stand out and give a feeling of zen while creating a clear centre piece for the npsa logo and product information. Q7Paris is a fast-growing UK skincare brand that offers premium, effective yet affordable high-quality cosmetics and beauty products. 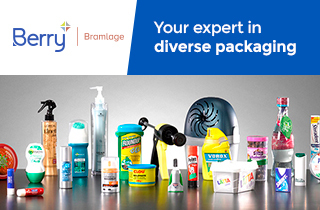 RPC M&H Plastics provided the perfect packaging solution for some of the new range which features baby oil, lotion, body wash, shampoo, powder, and medicated powder among others. RPC M&H Plastics has won the Packaging Innovations ‘Innovation Showcase’ Award for 2018 for its flexible tubes created from sugarcane biopolymer. The awards took place at Packaging Innovations Birmingham 2018 and were voted for by attendees at the show. RPC M&H Plastics has recently supplied and decorated the new flexible tubes and metallic closures for Utopia Skincare. The tubes feature a clean, sophisticated decoration and finish aimed at the mature woman, with silk-screen print presenting the details of the product, topped off with a noticeable yet subtle foil blocked Utopia logo, complimenting the pearl blue of the tube and helping the packaging stand out on the shelves. RPC M&H Plastics is pleased to offer ‘Green’ Plastic Flexible tubes created from sugarcane. RPC M&H Plastics is continually seeking alternative environmentally-responsive products as we believe that a small change can make a big difference while continually striving towards a business that has minimal impact on the environment. M&H Plastics, part of the RPC Group of companies, developed a family of fully recyclable, custom bottles that embodied the natural and innovative nature of their products. The packaging range harnesses innovative anti-microbial polymer technology that complements the product contained and a coloured band is used on the neck to make each bottle unique and differentiated from the rest. RPC M&H Plastics has worked with The Chapel on the launch of its first product range which has now been shortlisted for the 2017 Beauty Award. The award-winning hair & lifestyle company chose RPC M&H Plastics to create the packaging for its luxury hand creams in the collection which also includes candles and pulse point fragrances. Trevor Sorbie has recently refreshed its Haircare range for men with new formulations designed to thicken hair and care for the scalp. After M&H Plastics worked with Trevor Sorbie on the original design and packaging back in 2000, then a redesign in 2009, M&H was the obvious choice to package the 2017 refreshed line up. With all the ‘noise’ in our lives today, it is refreshing to see that some brands choose the path less travelled. Instead of having multiple solutions to your personal care regime: what if there were just one? This philosophy is put forward through the new range of “Meant” personal care products, with packaging provided by RPC M&H Plastics. As a passionate and professional care-giver, Dr Ena strived to produce a product with the finest and safest ingredients, manufactured to an exacting standard. Presenting the new range to market, Dr Ena sought packaging with clean lines but not clinical overtones. This was achieved by partnership with RPC M&H Plastics in Winchester, Virginia who were able to provide a ‘one-stop-shop’ for bottles, jars, closures and decoration. Naturally inspired, undeniably indulgent and incredibly foamy, Soaper Duper is a new beauty brand on the block that was launched in luxury store Liberty London at the end of 2016 and has now rolled out into Tesco stores nationwide. Soape Duper is committed to providing an indulgent, yet guilt-free, wash experience that is truly different from the norm. M&H Plastics has worked with The Chapel on the launch of its first product range. The award-winning hair & lifestyle company chose M&H, part of the RPC Group of companies, to create the packaging for its luxury hand creams in the collection which also includes candles and pulse point fragrances. Whether young or old, you are sure to know some of the iconic sweet brands Tangerine Confectionary have in their books. The Pontefract based company produce some of the nation’s favourite sweets, including the much loved Dip Dab, Refreshers and Wham bar. So when Tangerine decided to expand its new Sweet Champions range into a seasonal sharing tub that includes a range of their beloved, retro brands, they knew they needed packaging which reflected the fun nature of the sweets inside. Kilrock produce an extensive range of household products, but their Big-K multipurpose descaler is certainly one of their customer's favourites. The iconic labelled bottle has been tackling the nation's limescale for 70 years, so Kilrock needed a packaging supplier which could meet the extensive demands of their products and customers alike. M&H Plastics Market Rasen was able to supply the new 400ml Big-K bottles, which are made from HDPE and feature a child-resistant closure. M&H Plastics, part of the RPC Group of companies, teamed up with Grooming Lounge to provide stylish packaging for two of the newest additions to their range, the Mug Moisturizer lotion and The Shavior ingrown hair remedy. Abhati Suisse is a beauty brand like no other. The Swiss brand, founded by Anju Rupal, fuses ethicality, sustainability and traditional healing techniques to create a range of beauty products that are both scientifically proven and grounded in spiritual healing and expertise. Anju is one of a new wave of social entrepreneurs paving the way for sustainable and cruelty free cosmetics, and she chose M&H to bring her vision to life with Abhati's latest range. M&H Plastics, part of the RPC Group of companies has introduced a new and fun element to bars and clubs across Europe, the Quaffer! Developed from its original glass composition and manufactured in plastic by M&H Plastics, the PET Quaffer glass allows bars to mix various drinks in equal measure with one floating on the top of the other, allowing the drink to mix as it is drunk. This creates a novel drinking experience, particularly popular with in-vogue groups looking for playful, alternative drink options. M&H Plastics has recently completed production of a new 50ml bottle for SHS Drinks' brand, bottlegreen. Initially produced to allow added value as an inclusion of a 50ml cordial serve in a twin pack of 750ml glass sparkling pressés for Waitrose meal deals, the use of these new plastic bottles has opened up a range of benefits to the company. Following a successful Kickstarter campaign and being selected for funding through ABC's Shark Tank programme, Bryce Hudson, off-road motorcyclist and star of the X-Games has developed Grip Clean, a new hand cleaner that is developed from all natural products. Having developed the product, Bryce sought to find a packaging supplier that shared his vision and, working with M&H Plastics, part of the RPC Group of companies, Grip Clean became a packaged, retail ready product. The new Buster Deep Clean Foamer is an innovative solution for cleaning drains, pipes and overflows. It is packaged in a dual chamber bottle with a shrink sleeve cover and a cap with a directional nozzle, developed by M&H Plastics. Wingman, the iconic male toiletries brand, has adopted the new foil wrapped tubes from M&H Plastics, part of the RPC Group of companies, to present its latest range of shower gels. The company wanted to create a striking package to reflect their approach and encourage men to engage with the brand. Iconic celebrity hairdresser, Nicky Clarke has recently created and launched a new collection of salon quality haircare products. The multi-award winning stylist has produced a comprehensive range that addresses both complex and straightforward haircare needs. M&H Plastics, part of the RPC Group of companies has recently completed a new family of packages for Champneys. Champneys opened its doors in 1925 as the UK's original health spa. Since then, every single Champneys product is tried and tested by their 400 therapists. M&H is delighted to announce that its custom packaging for the Scandinavian Purity Handwash product has been honoured at two national awards. A silver at the Pure Beauty Awards and, at the UK Packaging Awards, a highly commended award for Rigid Plastic pack of the Year. Two new Piscean 200ml standard bottles (HDPE/PP: 5663) have recently joined the range at M&H Plastics, part of the RPC Group of companies. Available with either a snap-on flip-top Adelphi cap (PP:8256) or a stylish pump shroud (PP: 8312), the bottles can also be produced with a 20/410 neck that accommodates a range of closures.